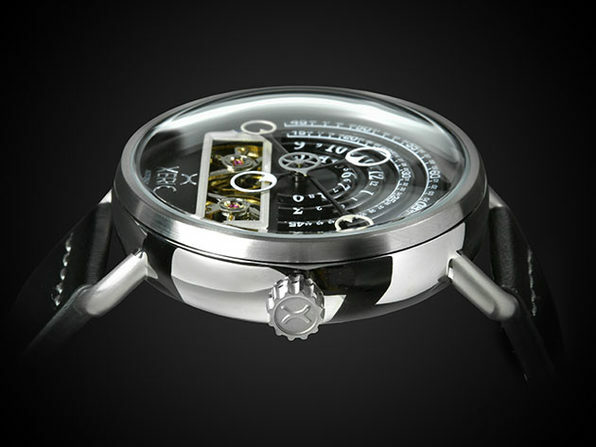 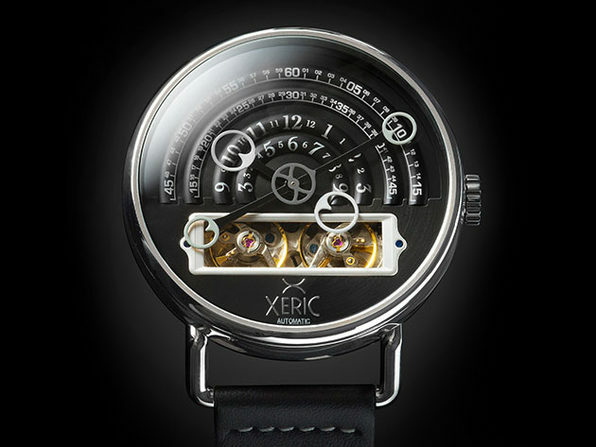 Say "halo" to the limited edition Halograph Automatic from Xeric. 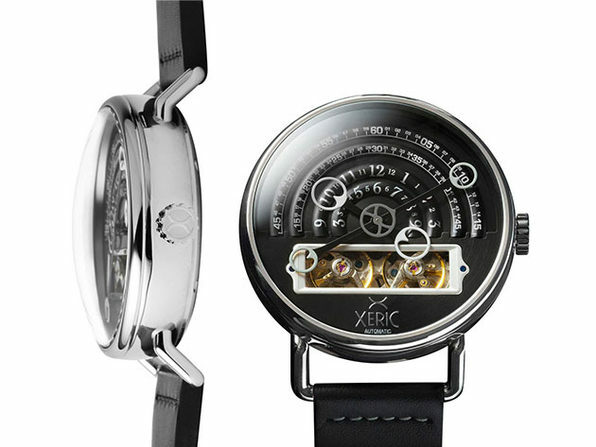 This gorgeous watch features "halo" hands that display the time in an entirely new way, floating over the arcs to encircle the numbers for the time. 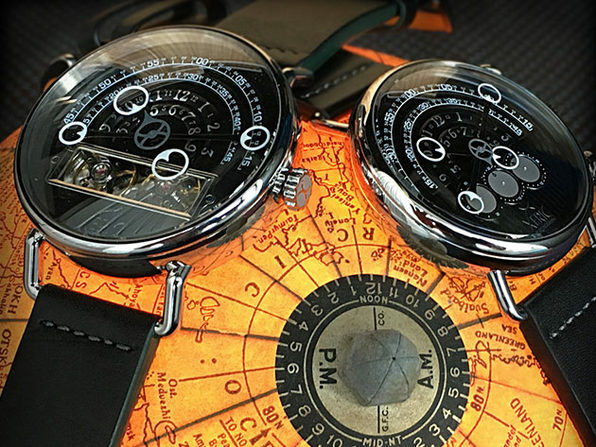 The inner arcs display the hours, the outer arcs display the minutes. 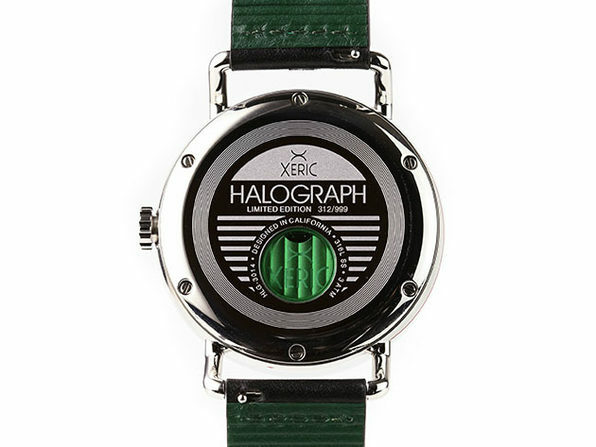 Each limited edition Halograph Automatic is engraved with a number from 001 to 999, giving you a unique opportunity to acquire one of these rare first-edition watches.